​Edinson Cavani has been ruled out of PSG’s upcoming Champions League round of 16 clash with Manchester United, with the Uruguayan set to be out for at least a month. The Parisiens beat Bordeaux 1-0 in a Ligue 1 encounter on Saturday courtesy of Cavani’s 42nd-minute penalty, though the striker was later withdrawn at half-time after appearing to suffer a thigh problem. The striker will now miss Tuesday’s visit to ​United, alongside fellow attacker ​Neymar who has already been ruled out of the tie with a broken metatarsal. 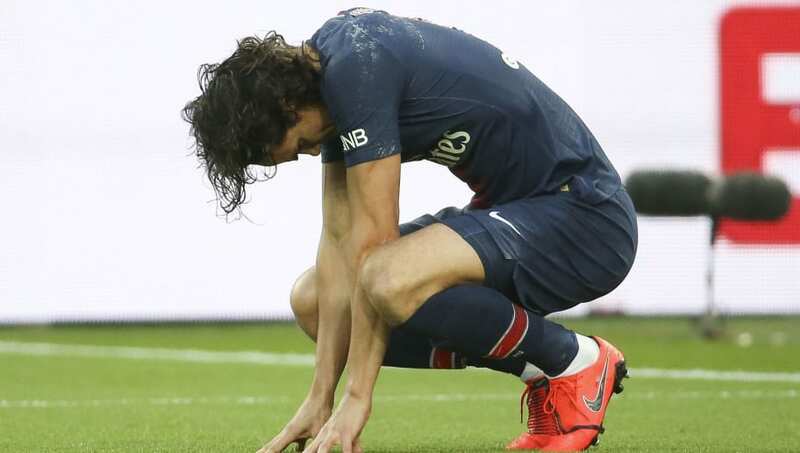 ​L'Equipe have confirmed that Cavani is set to miss at least a month after injuring a right hip tendon as he scored the penalty against Bordeaux. The French outlet have confirmed that defender Thomas Meunier will also miss out.